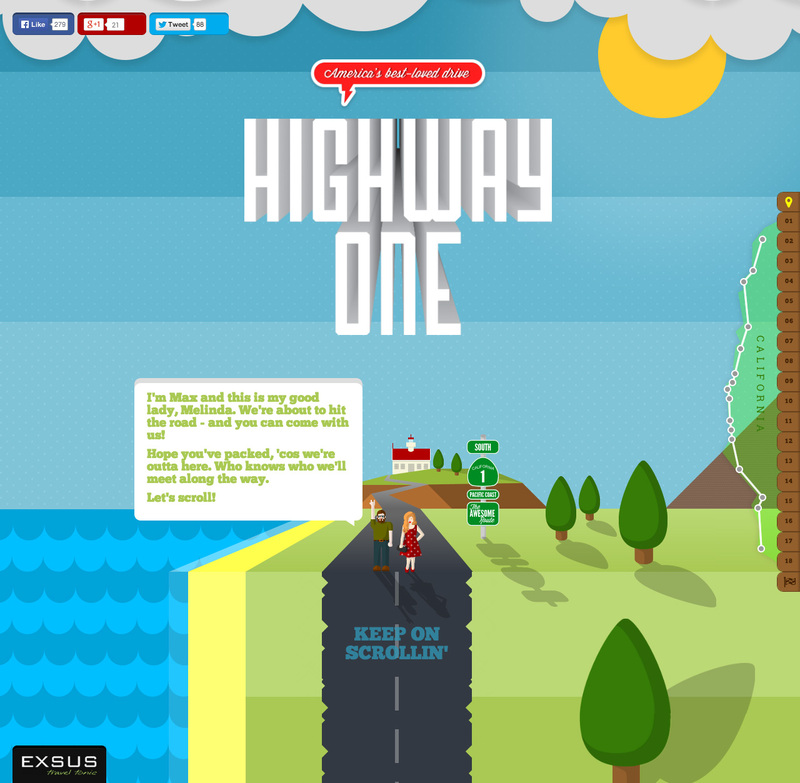 Buckle up because Shout Digital are taking you for a ride down California’s Highway One in this exceptionally built interactive One Pager. This site is so packed with colorful illustrations and fine detail – I can only image how long it took to build. Scroll down the page to drive your convertible past pedestrians, celebrities, Google street view points, mailboxes with messages… all while tuning into the radio. Amazing job! Now you can experience the classic American road trip without even having to leave your chair. Site built in HTML5 and CSS3, look out for hidden easter eggs!